'Hailing from a family of artists and creators that stretch from the Pacific to the Mediterranean, Joah Brown & Margaux Olverd partnered to create a site that offers handmade goods alongside imports from Morocco & India. Handcrafted in Rincon Point, California where the surf is head-high and the fashion is as versatile as your best bikini. Just looking at the logo you know its going to be something cool. So thanks to this girl, I am so excited to introduce you to a new designer for your summer bikini. If you're a fan of the hippy, boho look then don't go anywhere. a fabulous line of turbans, cover ups, bodega pants, accessories & more! 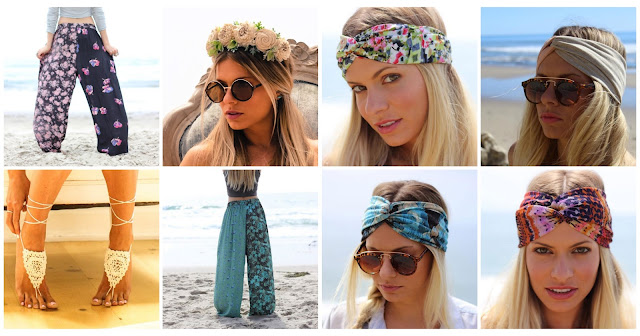 so OF COURSE I am obsessed with their stuff...I wish I was a hippy, so it's totally up my alley....PLUS they're located in SoCal & the stuff is perfect for beach girls like me....it was pretty much love at first site. I was super excited when I got my Coolie Turban in the mail. It was exactly how I pictured it & the colors were so pretty. Not to mention it is SO comfortable and lightweight, you can barley feel it on your head. What I really loved about the turban was the back; it has a stretchy band so it makes the headband even more comfortable and doesn't pull at your hair when you're wearing it. 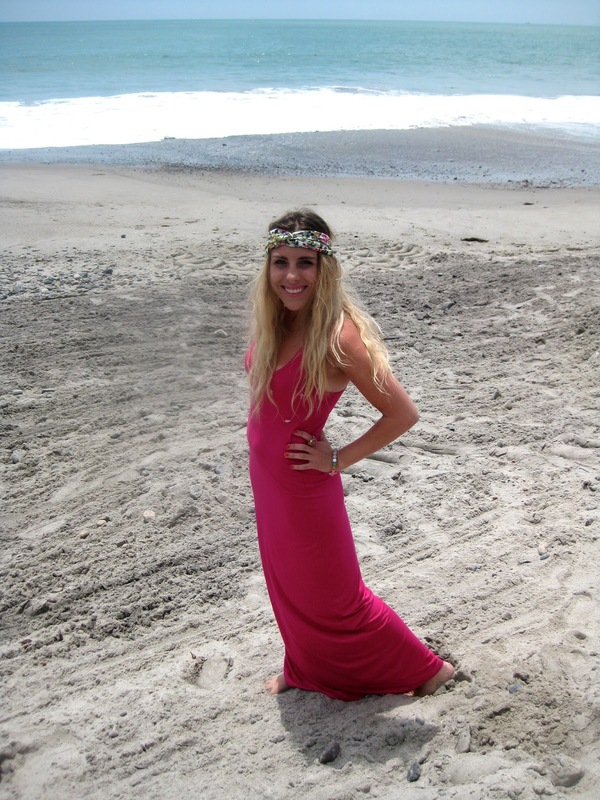 Love the pink maxi! And the headband is super cute! That dress is beautiful, the color looks great on you! That dress is amazingggg and fits you perfectly!!! Gorgeous girl!